Dates for Fifth Quarter 2018! 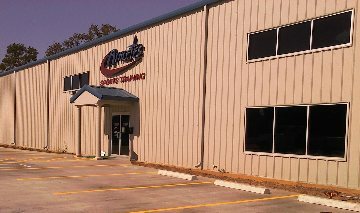 Welcome to Athletes Sports Training Facility! We are a state-of-the art athletic training facility dedicated to fulfilling the needs of all players of all ages and abilities. Our facility is 10,000 square feet with a 20 foot ceiling height. 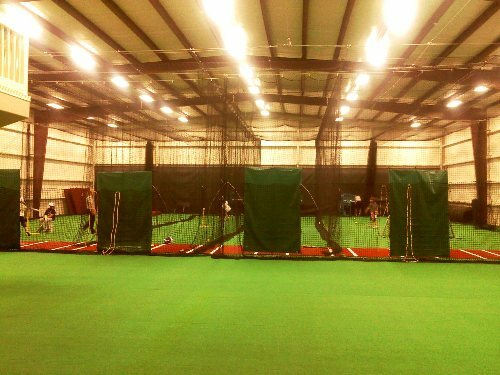 We have six batting/pitching tunnels that are equipped with pitching machines, L-screens and pitching mounds. We also have a retractable soft toss/tee work area. There is a speed, agility, balance and core strength area for those young athletes that want to improve their overall athletic ability. The facility has indoor Astroturf playing surface and the batting tunnels can be moved so the facility can be used for baseball/softball, football, soccer and speed & agility camps and clinics. Athletes also offers a comfortable parent viewing area and big party room to help you celebrate all your birthdays! You can also try your skills on our 16 foot traverse rock climbing wall. Athletes offers a wide variety of instruction including private one-on-one lessons, group and team lessons as well as specialty camps offered throughout the year. We offer individual and group lessons, given by experienced trainers in baseball, softball and speed, agility and strength training. Book your child's next birthday here at Athletes! We offer a wonderful party room for family, and lots of fun for the birthday child and friends! 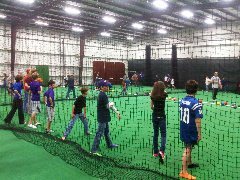 Kids can choose from dodgeball, kickball, wiffle ball, football, rock climbing, limbo, or all of the above for a 2-hour party. 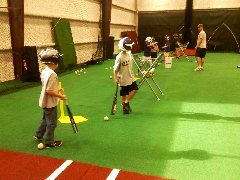 We offer 6 full length batting cages, two of which can be divided in half for multi-purpose use. We invite teams and individuals to come and use our cages. Baseballs and L-Screens are provided with the rental. 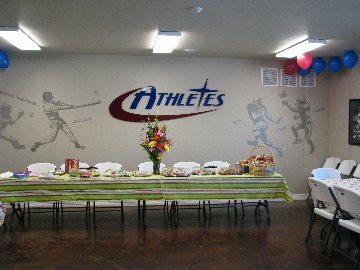 Book Athletes' Party Room for your next event. Private Parties, Showers, Meetings, etc. Also, ask about booking our entire facility for team practices! Call Athletes for rates and details. Come to Athletes for Training, Camps, Birthday Parties, indoor batting cage rentals and much more to improve your athletic ability in a variety of sports.